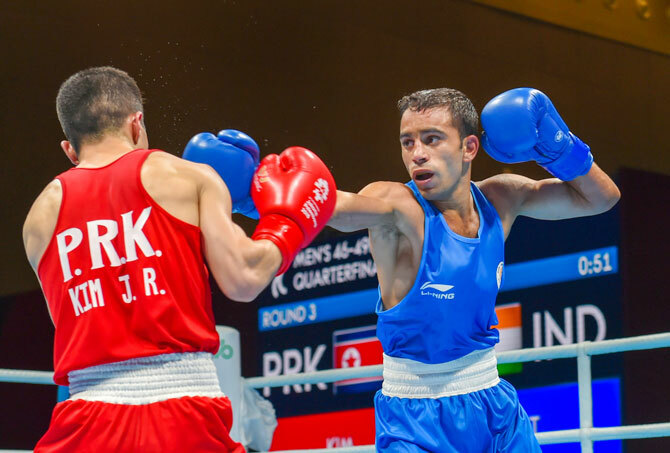 It's not everyday that Indian boxing finds itself bracketed with a powerhouse like Kazakhstan but that's exactly what has happened at the ongoing Asian Games. What is not particularly pleasing is the stat which binds the two countries in Jakarta. Both India and Kazakhstan have just two semi-finalists in the men's draw and no challenge left in the women's competition at the end of the quarter-final stage. "Obviously we wanted more, two medals is less than what we had targetted. But I would like to believe it is just one blip. We have equalled the last time's performance in terms of number of medals and hopefully a better colour would be coming along to make the overall show better," Indian boxing's High Performance Director Santiago Nieva told PTI from Jakarta. 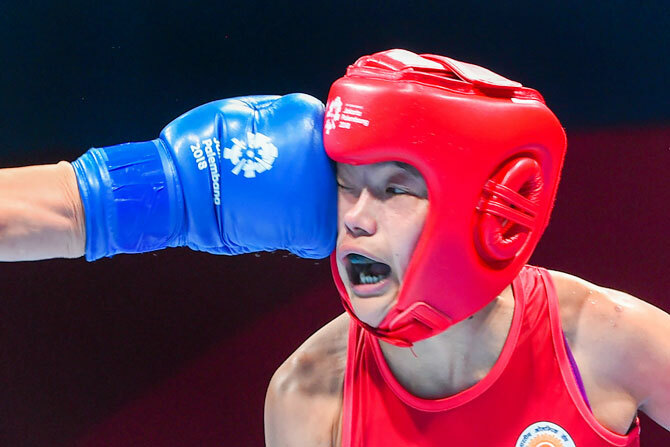 Kazakhstan topped the boxing medals tally at the 2014 Games with six gold, two silver and two bronze medals, making the ongoing edition nothing short of a disaster for them. It's a dip that India can probably relate to given that the country went from two gold, three silver and four bronze in Guangzhou 2010 to a mere two bronze at Incheon 2014. India has managed to match the 2014 haul with two semi-finalists. And it might get better if the seasoned Vikas Krishan (75kg) and in-form debutant Amit Panghal (49kg) make the finals on Friday. Despite the slight disappointment, Nieva ruled out any drastic repercussions for how things have gone in Jakarta. "We must always look for things to improve and we will sit down and analyse the performance but I don't believe there will be too many radical changes as of now," he said. "Have a look at how the Kazakhs have done, just two semifinalists, which I am sure is not what they might have hoped for. Likewise, Korea have got just one semifinalist, in the women's draw, none of their male boxers are in the semis," he pointed out. "It is sport, these things happen to everybody. On the other hand, Thailand and Uzbekistan are having a great tournament," he added. Thailand has four men and two women in the semifinals, while the Uzbeks have all seven of their male boxers in the medal rounds. It is a massive recovery for the Uzbeks from two silver and two bronze in the last edition. Ditto for the Thais, who had one gold and a bronze to show for in 2014. In contrast, South Korea, which was placed second the last time around with two gold, three silver and a bronze, has just one competitor left in Jakarta -- in women's lightweight 60kg category. "Boxing is not maths, it is more like chemistry where a combination of factors go into making a medal. Sometimes it is a matter of just one punch like it happened in case of Gaurav (Solanki) and Shiva (Thapa). They were struck by that one perfect blow which changed everything in a matter of seconds," he explained. "The Chinese guy Shiva lost to, ousted a Kazakh in the next round. Similar was the case of Gaurav, he was shaken by a big one in his second round bout and couldn't recover. (Mohammed) Husammuddin, on the other hand, fought exceptionally well but didn't have the luck, same for Dheeraj (Rangi)," he added. "When you lose to someone, you always feel better if the guy goes on to win the gold, because then you have lost to the eventual champion, in a way, that's a solace," he reasoned. Speaking of India's two semifinalists, Nieva said, "Amit has of course been outstanding so far and Vikas can still take it a notch higher. He is capable of more." While Commonwealth Games silver-medallist Amit seems to be in the form of his life, Vikas has been hampered by a cut on his left eyelid, sustained in his opening bout. The 26-year-old Vikas has, however, managed to script history by assuring himself a third successive Asiad medal, the first Indian boxer to do that. Reflecting on the women boxers' performance, Nieva said a medal-less campaign always counts for disappointment. The Argentine-born Swede was seen seconding during women's bouts too along with their chief coach Raffaele Bergamasco. "...it is definitely disappointing to not win a medal but I am sure they will bounce back in the world championships in two months' time. Bad results should be taken in stride and we should look to rebuild things after that," he stressed.